- Flushing carburetors, injectors, injectors, fuel filter mesh cleaning (petrol), individual parts, assemblies, and entire blocks. - Washing and polishing of optics, sterilization and cleaning of surgical instruments, vials, dental and pharmaceutical industries; cleaner reusable, molds. - Cleaning of parts, pipes, wires, etc. before finishing, machining parts and components to the preservation, processing of parts after reopening, welding, grinding, polishing, cleaning strainers in the fuel and hydraulic systems, deburring parts. - Washing and polishing of optics, precision mechanics components, integrated circuits and printed circuit boards. - Cleaning parts and components, washing printer heads. - Mixing of solutions and liquids, acceleration of reactions, cleaning wire filters, degassing of liquids, etc. - Washing printed circuit boards, cleaning of silicon, quartz plates.Manufacture of polymers - cleaning nozzles etc. - Washing the jewelry in the production process and in the home. 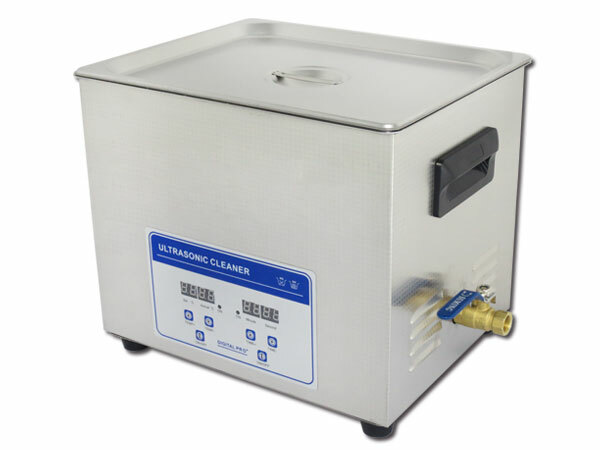 Ultrasonic cleaning method is superior than general methods. Especially for workpieces with complex surface, such as mechanical parts with uneven surface and blind holes. At present, ultrasonic cleaner applied in electronic, mechanical, electrical, glass, eyeglasses, watch, electroplating, instruments, meter, jewelry, medical, hardware, bearing, hydraulic, aviation, ceramics, fiber, pretreatment before plating, etc. almost covered every aspect of modern industry. 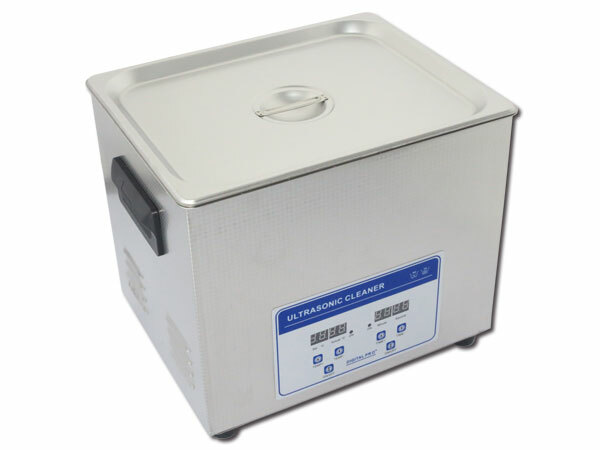 Ultrasonic cleaner show great superiority when compare with other cleaning methods. In specialization, collectivization production enterprise, ultrasonic cleaner have taken the place of traditional immersion wash, pressure wash, gas cleaning and steam cleaning and so on. High efficiency and cleanness of ultrasonic cleaner is based on the penetrating and cavitation generated by sound wave spread in medium. Its easy to clean the products with complex shape, internal structure, fine empty parts. Only two or three minutes is needed for general oil removal, rust, phosphate and other process. Several to dozens of times faster than traditional method, and can achieve high cleanness standard. It proved that the result cant be reached or difficult to achieve by other cleaning methods when higher requirement for product surface quality and productivity. 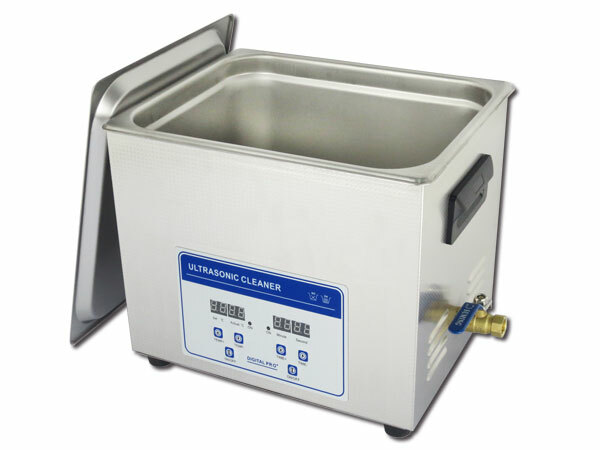 Ultrasonic cleaning is an increasing importance of new technology in modern industry. It can greatly improve cleaning efficiency and product grade. 1.Cleaning effect, high cleanness and cleanliness consistent for all workpieces. 2.Cleaning efficiency, improve productivity, avoid contact solution, safe and reliable. 3. Deep hole, fine seam, and worpiece cover can be clean. 4. Without damage to workpieces surface. 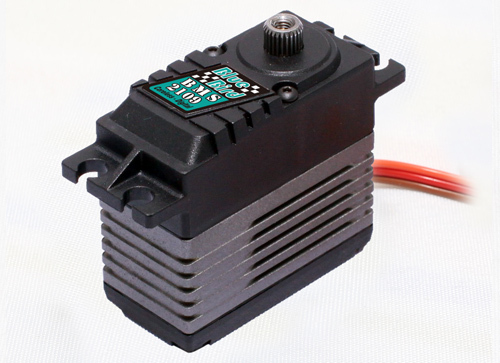 Saving solvent, heat energy, work place, labor and so on. Suitable for electronic factories, jewellery shops, Scientific LAB, dental clinics, hospital, repair shop, car workshop, hobby shop, golf club, bank, household use and any industries that's need cleaning process. Ultrasonic cleaning is considered safe for most parts, although in some cases it is necessary to observe caution. Although the effects of thousands of implosions per second is very powerful, the cleaning process is safe, because the energy is localized at the microscopic level. The most important consideration regarding product safety - is the choice of cleaning solution. The potentially harmful effects of the detergent on the material being cleaned will be enhanced ultrasound. Ultrasonic cleaning is not recommended for the following stones: opal, pearl, emerald, tanzanite, malachite, turquoise, lapis and coral. 1. stainless steel tank has resistance to wear and long work life.